FYVE Derbyshire by Roxy Pacific Homes. Freehold. Former Derby Court. 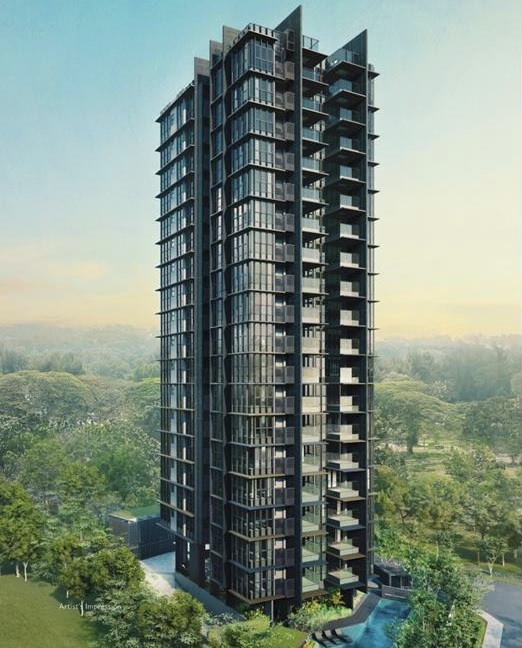 Fyve Derbyshire is a freehold condominium by Roxy Pacific Homes. It will be developed on the site of the former Derby Court. It is located in Novena in District 11 which is about 10 minutes away from Orchard Road or Bugis. There will be 71 exclusive freehold units in this development. Fyve Derbyshire is walking distance to Novena MRT Station and is across the road from United Square. It is very close to the prestigious SJI Junior School and ACS Junior. 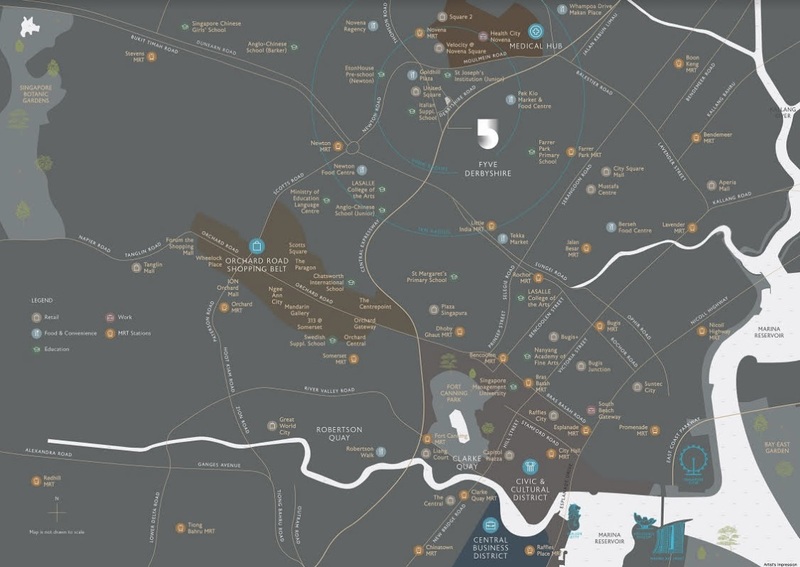 There are a lot of amenities in the area with two large shopping malls in United Square and Novena Square. Both these malls have supermarkets and many eating places. Fyve Derbyshire is well connected. 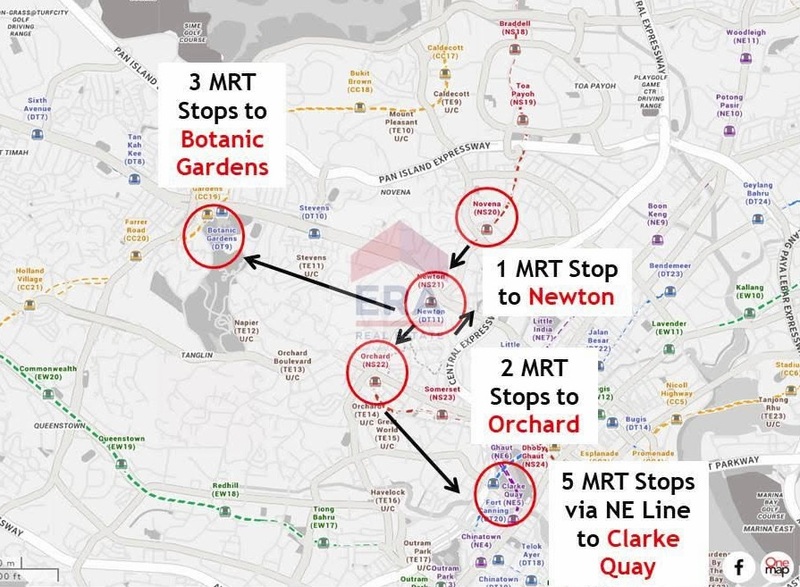 Novena MRT is on the North-South MRT Line and is only two stations away from Orchard MRT Station. It also has easy access to the CTE and PIE. Tenants should come from those who are working in the Central Business District (CBD) and also in the medical centres in the area. Novena is a medical hub with a large number of medical facilities and medical suites in the area. Tan Tock Seng is a large hospital that is within walking distance from Fyve Derbyshire. SWIMMING POOL AND COMMUNAL FACILITIES. FYVE Derbyshire	Overall rating:	0	out of 5 based on 0	reviews.